If you're going to buy a new iPhone, you'll no doubt want to fill it up with games. While you're hunting through the App store to make sure you have all of your essential apps in place, like Facebook and Twitter, Yelp and iMovie, you need to make sure you pick up the best games that are out there too. Don't be distracted by thousands of titles you've never heard of, make sure your first downloads really count. To help, we've selected a dozen titles that offer a broad range of experiences that should satiate your gaming tastes regardless of what they are. We've come at this with a bit of a "gamer" sensibility. While the iPhone is most suited to casual experiences (simply by nature of the environment in which you typically play games with it) but there are games and brands that will definitely appeal to those of us that take our interactive entertainment a little more seriously. All game names link to the iTunes App store. Angry Birds has been at the top of the iPhone gaming charts in just about every country in the world, and with good reason. Although fundamentally a simple physics puzzle game, it's incredibly addictive. Think of it as a 2D version of the destructive levels in Boom Blox. 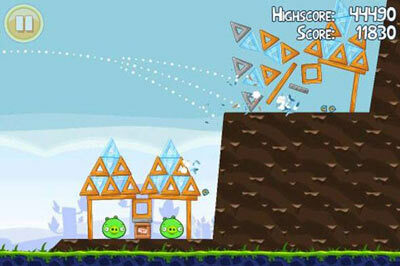 Instead of throwing balls though, you twang a variety of different "angry birds" at structures using a catapult. The goal is to destroy the evil pigs that have stolen the birds' eggs in the most efficient way possible. There's a lite version if you want to try it out first, but really there are few better ways to spend US$0.99 on iPhone. 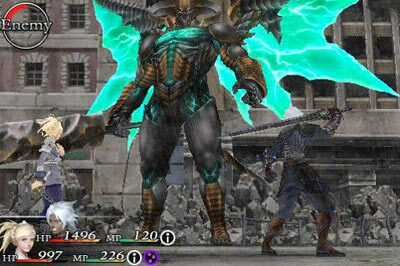 Square's inimitable RPG gameplay style slimmed down and optimized for iPhone. While it doesn't offer the same kinds of freedom you see in a traditional console release, it tells its epic story in an elegant and beautifully presented way, and has an excellent turn-based battle system. Yes, it's very expensive (one of the most expensive games in the App store) but if you're a fan of Square's games, and are hankering for something with the same kind of flair we saw in the period around Final Fantasy VII through IX, you'll certainly get a kick out of this. It's been around for a while, and there are plenty of other turn-based strategy games out there - but Civilization: Revolution is still the best. Plus, it's a familiar franchise for gamers. Unlike a lot of mobile variants of big name games, 2K's Civ is not a stripped down version of the popular resource management strategy game. Though it doesn't share the 3D graphics of its PC and Xbox 360 brothers, it does pack all 16 civilizations from those versions, and the opportunity to beat the game using military, cultural, economic or scientific tactics. If that doesn't make you want to spend US$6.99 on it (watch out, it's price fluctuates a lot - it's been in the App store for as little as US$2.99, though that's rare,) there's also a "lite" version that you can try out for free. This is one of those games that's more difficult to explain than it is to play. The basic premise is that you drop blocks into a 7x7 grid. Every block has a number on it. When the number on the block matches the number of blocks in a row or a column, it disappears. 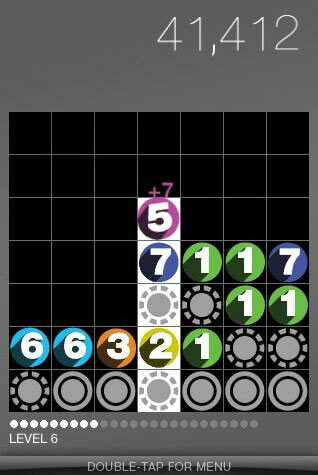 When people try it, they tend to want to liken it to a blend of Tetris and Sudoku, but it’s really not that complicated. Aside from being hellishly addictive, it's also aesthetically exquisite. The elegant, minimalist graphic design is perfectly matched with a spacious soundscape and beautifully appropriate sound effects. It really is a complete aesthetic experience, as well as a real brain workout. 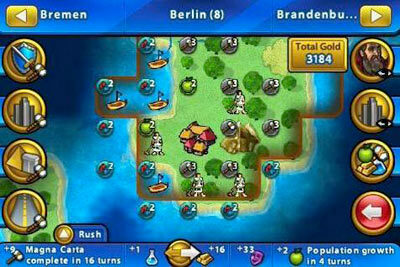 Drop 7 currently experiences some issues with iOS 4, and the development team at Area/Code have submitted a fix to Apple. Pending approval, the update will be live any day now and the game will work again.